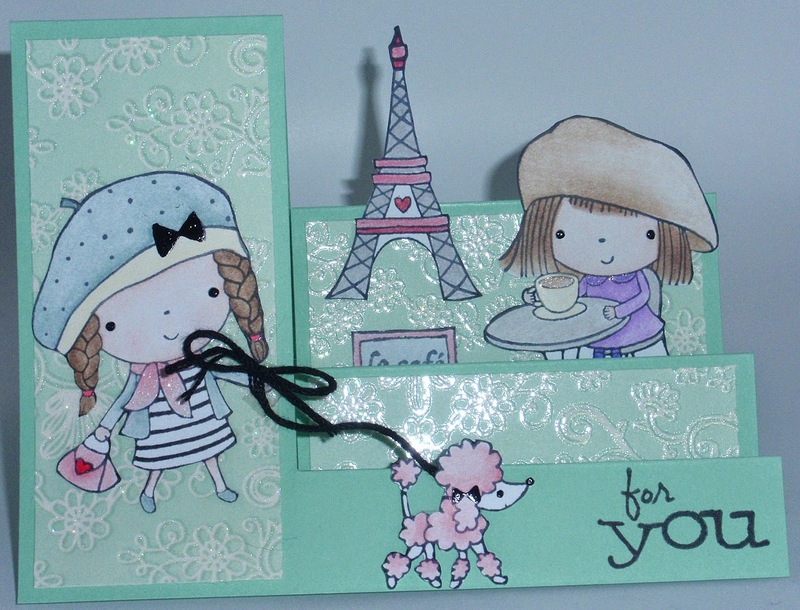 I have a quick card design to show you. 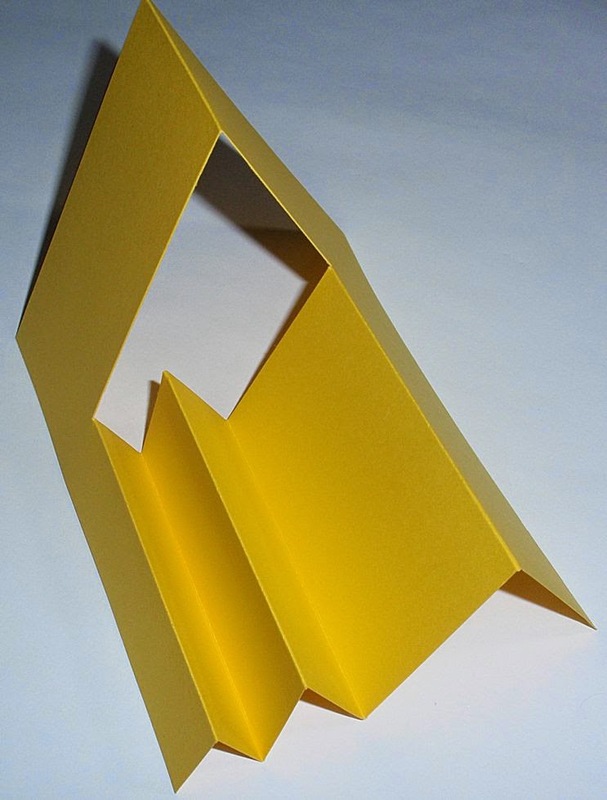 I wanted to again try some new ways to make cards and got a bit hooked on the Side-Step card and even made a template! As always, you can click on any of the pictures to make them bigger. After making the template, I went to work on making a card. 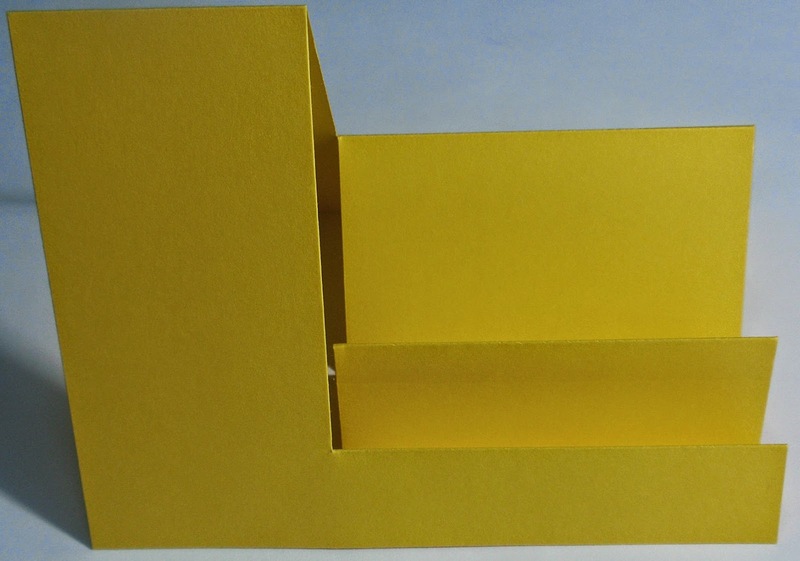 Here I am using a bright yellow base card. 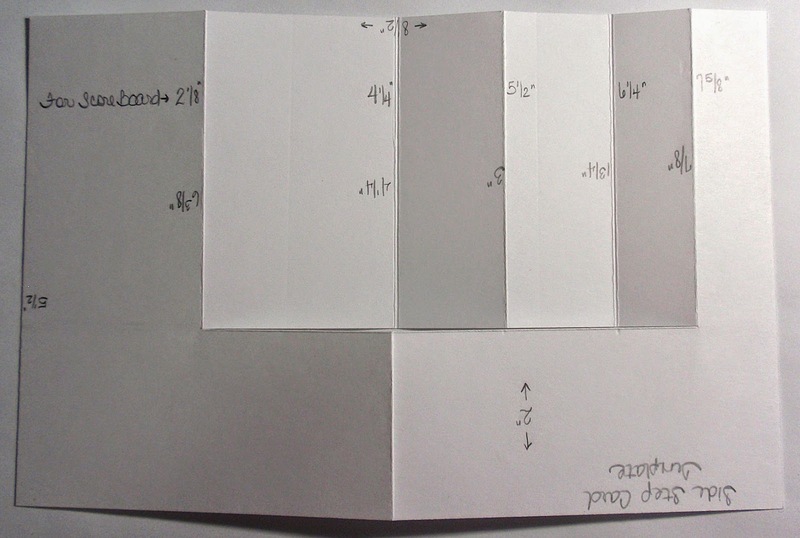 This is looking at the card from the front. Here it is looking at it from the side. I also added an embossed panel of flowers. 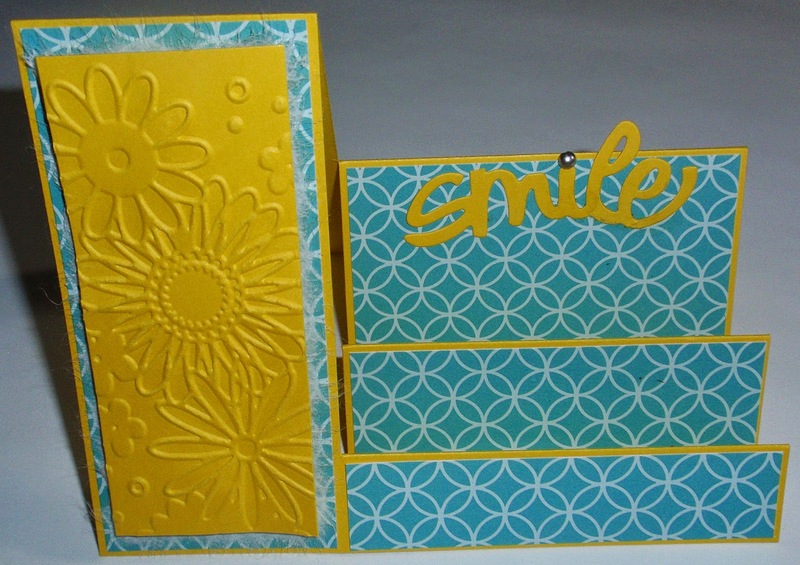 A die cut of 'smile' with a stud is placed on the back panel. After playing with the above card, I decided to get another card going. I think this stamp set is adorable...and it was fun to color. I even added some twine for the dog leash. Some glitter and puffy pens add some glimmer here and there. 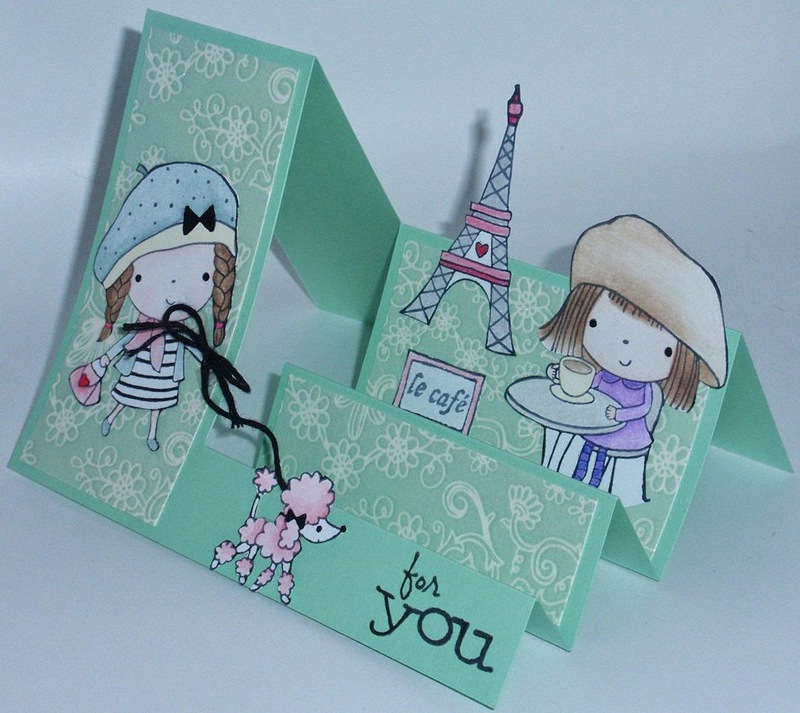 I hope you try out this different way of making a card. It's fun to change it up every once in a while and this one is easy to do. If there are any card designs you would like me to try out...let me know.